At Ronald McDonald House Westmead, families can find a place to relax and regroup in a leather recliner, or sleep comfortably on a sofa bed when it's needed thanks to the generosity of La-Z-Boy Australasia. 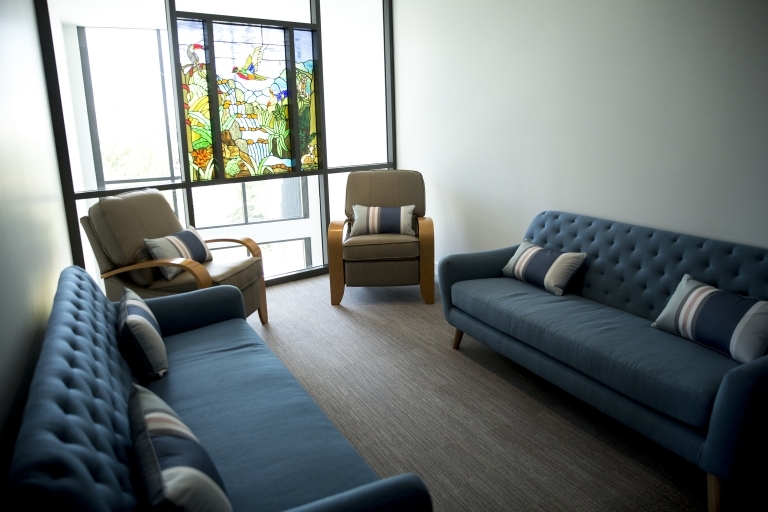 As national partners of Ronald McDonald House Charities Australia, La-Z-Boy Australasia kindly contributed 60 recliner chairs and 24 sofa beds to the 60-room Ronald McDonald House Westmead prior to its official opening in February, 2018. “We are all very proud of our sponsorship of Ronald McDonald House Charities,” said La-Z-Boy Australia’s Maria Starkey. The House offers seriously ill children and their families a safe and comfortable place to sleep while their child receives vital treatments at the Children’s Hospital at Westmead, but also provides shared living areas where they can spend time together and retain a sense of normalcy and togetherness. La-Z-Boy Australia’s contribution is helping create the feeling of home and comfort for up to 60 families each and every day while they stay at Ronald McDonald House Westmead. Click through to see more images from the 60-room Ronald McDonald House at Westmead.